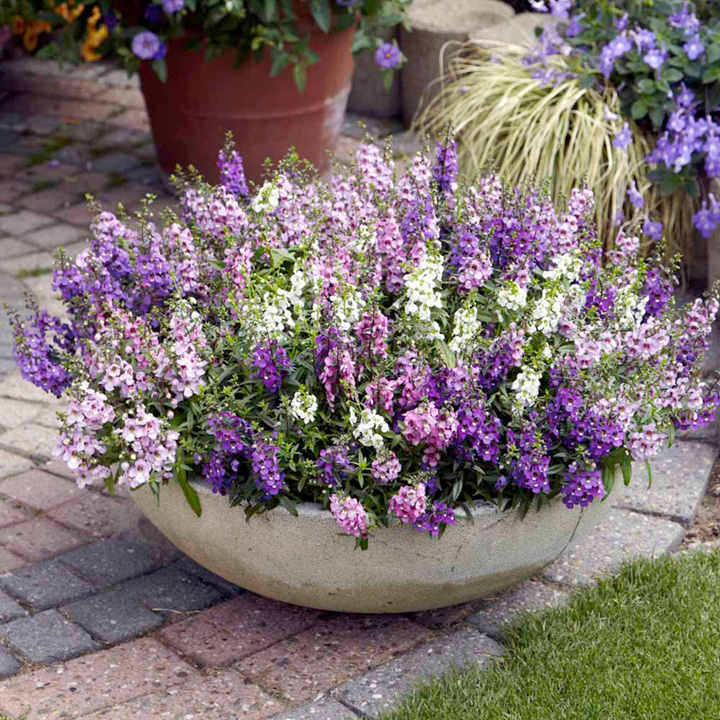 Try this summer-long performer in borders or containers on the patio or in the conservatory. The 2cm diameter blooms open gradually along the flower spikes giving weeks of colour from every spike. In shades of blue, purple, lavender, pink and white. And it requires no ‘dead heading’! Height 35-40cm (14-16”). Sow in trays on a windowsill or in a greenhouse onto a quality, moist seed compost at about 18-21ºC (65-70ºF). Do not exclude light. Germination 7-14 days. Transplant seedlings when large enough to handle 5cm (2") apart in trays and grow on. Plant out after acclimatising to outside conditions about 20cm (8") apart. 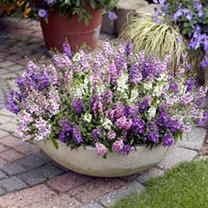 Ideal for beds and borders, patio pots and containers, greenhouse. Suitable for cut flowers. Attractive to bees. Prefers full sun.